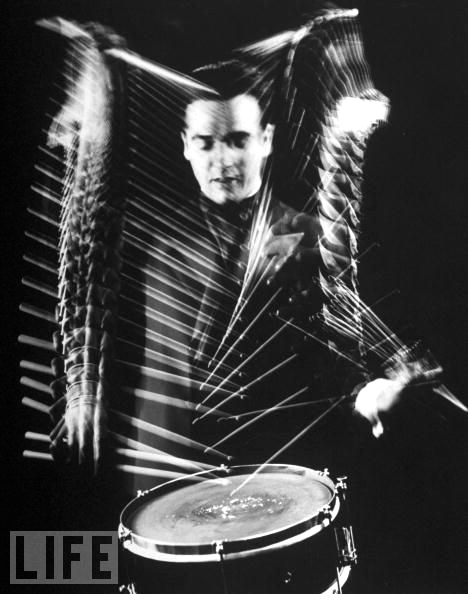 Gene Krupa said, in an interview I read decades ago, that he learned from the great “black drummers” the difference in playing drums leading with the right hand or the left hand. A change in sound, Krupa said. The way he spoke about leading with his right/left difference still has me figuring out what exactly Krupa picked up from “black drummers” on this point. What was the big deal? Over the years I thought, for example, maybe Krupa is talking of the tendency for drummers to have one hand stronger than the other. Right-handed people tend to have stronger, better controlled right hands than left hands. The problem with that explanation? Serious drummers practice so both hands have equal strength and control, so they can play anything with either hand. This was certainly true when Gene Krupa was coming up. So why would he make such a big deal out of it in his interview? He must have been talking about something else. But what? My latest best guess is this: I am naturally right-handed. 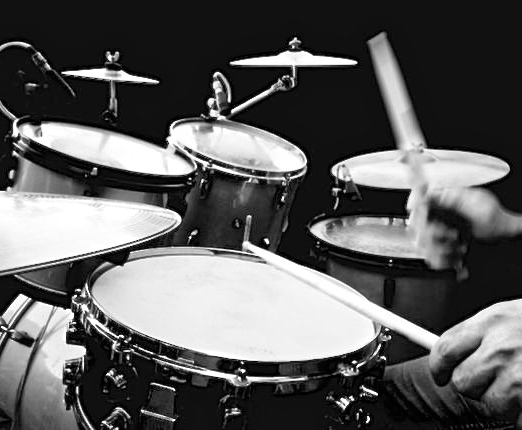 In most drumming instances, my mental focus — my attention — was on my right hand. Yet, my right hand is not always playing the lead. Sometimes my left hand is leading on the snare drum. Other times my bass drum has the lead. I discovered things are easier to execute when my mental focus is on that limb as my lead voice. A non-music analogy: Think of a fall hike up a 4,000 foot mountain trail and coming to a steep incline of boulders, branches, underbrush, and icy spots. You can no longer just automatically walk, one foot in front of the other, arms swinging to and fro. 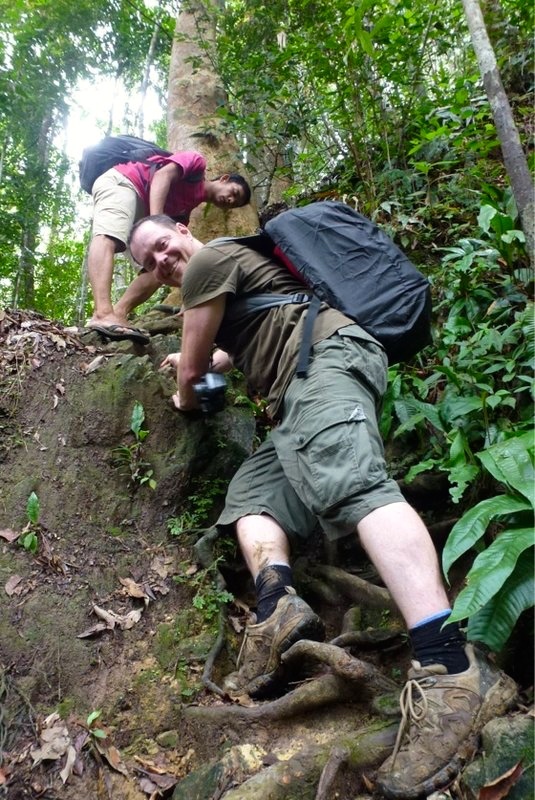 The terrain demands focusing your mind on your right-hand when reaching up to grab a solid rock or branch for support. Next you focus on your right-foot, raising your leg, making sure you find a safe foothold. Once you have a safe foothold, your mental focus moves to your left hand, and so forth. You ascend the mountain. Now, imagine me, a right-handed drummer, playing a four-bar drum break using a couple of two-bar phrases broken up by a quarter note rest. I begin #1 two-bar phrase with my right hand on the snare, ending the phrase with right-hand on floor-tom. The sound of that two-bar phrase is entirely built around a right-hand lead with, say, a right-hand accent on the small tom, a ride cymbal tap, and ending with my right-hand on the floor tom. My mental focus for those first two bars was on my right-hand. (Remember: Humans can’t think about more than one thing at the same time.) My left-hand and my feet were following my right-hand lead. For my #2 two-bar phrase I’m in a great place to lead with my left-hand. My left-hand is raised, my right-hand is on my floor tom. And at moments like this — I was messing up. Instead of shifting my mental focus to my leading left-hand, I would lead with my left-hand while keeping my mental focus on my right-hand. Probably out of habit. When I did that it was often uncomfortable, even impossible, to execute phrases I was hearing. No wonder! My mind and limbs were at cross purposes. I was thinking of right-hand lead phrases, trying to play them with a left-hand lead. Or, instead of taking advantage of my left-hand being in the best position to lead, I’d ignore that truth, fall back on my right-hand, ending up playing something — but something other than what I had in mind. Right-lead or left-lead: I discovered they both work best when my mind and limbs are in sync. And maybe that’s what Gene Krupa was talking about. This entry was posted in SKF Blog and tagged Drummer, Gene Krupa, Scott K Fish. Bookmark the permalink. The full quote gets even stranger: Icepicks into the toms?